I went to sleep the other night with a small sentence fragment rattling around my skull and since then it’s spooled out into a short fantasy story of a little over two thousand words. I’ll have to see if there are any competitions it can be tweaked for, otherwise I’ll add it to the short story collection I’m compiling to self-publish. 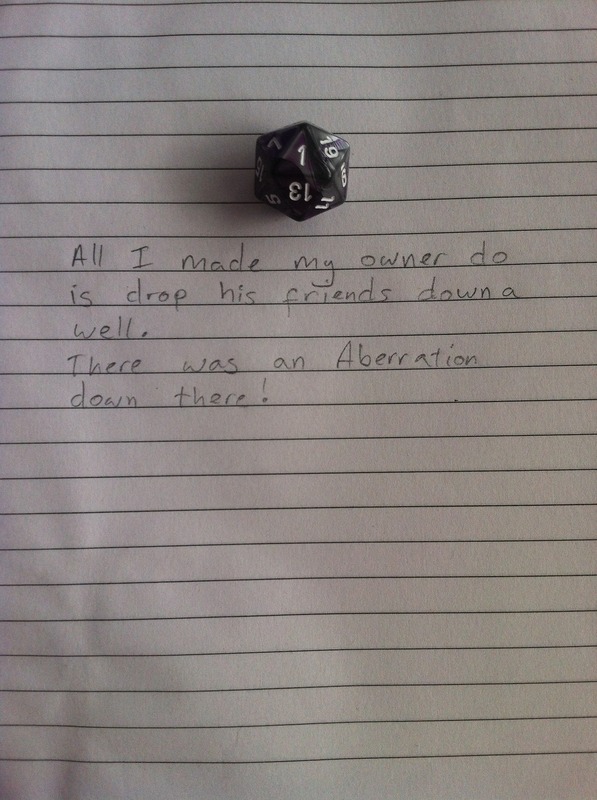 In the meantime, here’s another dice shaming picture I’ve stumbled onto. I’ll start adding my own ones from the gaming session soon. This entry was posted in gaming, Geekery, images, writing and tagged dice-shaming, geekery, writing. Bookmark the permalink.